Some 82 prisoners took their own lives in prisons in England and Wales during 2014, bringing suicide rates to their highest level in seven years, according to the latest figures. The numbers, published by the Howard League of Penal Reform on Thursday, show that 235 people died in prisons over the course of the year. Over 120 of the deaths were due to natural causes and a further 24 have not yet been classified. Of the 82 suicides, 14 were young people between 18 and 24. The results also revealed that those remanded in custody are “disproportionally” more likely to take their own life, with one in three prisoners who committed suicide on remand, despite remanded prisoners only making up one seventh of the prison population at any one time. “The numbers hide the true extent of misery inside prisons and for families. It is particularly tragic that teenagers and other young people have died by their own hand in our prisons and we should all be ashamed that this happened”. Two prisons had four suicides in 2014: Wandsworth, London and Elmley prison in Kent. A further four prisons reported three prisoners taking their own life. Speaking to RT, Alex Cavendish, a former prison Insider (peer mentor) and prison blogger said that prisons were starved of the requisite resources to deal with depressed prisoners. He said that the ACCT system (Assessment, Care in Custody and Teamwork), which is the main way prison staff are supposed to reduce the risk of suicides, relies almost entirely on staff physically checking on each inmate throughout the day and night. “Since an estimated 60 percent of male prisoners have some form of mental health problem… it’s hardly surprising that many resort to self-harm in a bid to attract staff attention or get help” he added. The Prison Governors Association warned in October that the rising levels of prisoners and continuing staff shortages was a “toxic mix,” saying that prison deaths were once again on the rise. An independent review into the deaths of young male prisoners aged 18 to 24 was commissioned by the Justice Secretary Chris Grayling and is due to be released in March. Cavendish said the problem could be tackled by reducing the numbers of prisoners, better mental health screening processes and diverting those with serious problems away from the prison system. “Ensuring that all prisoners have access to education, work, gym or other activities during the working day. 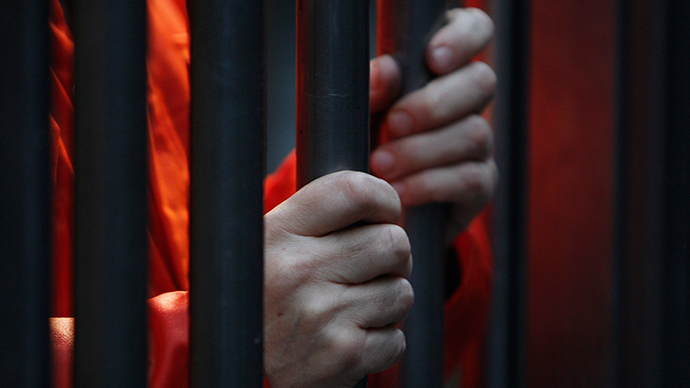 This can play a major role in helping prisoners manage depression and isolation,” he added.